Every girls strives to look good and attractive any time and everywhere, this is our nature. Sometimes it can be really hard but really we need it. 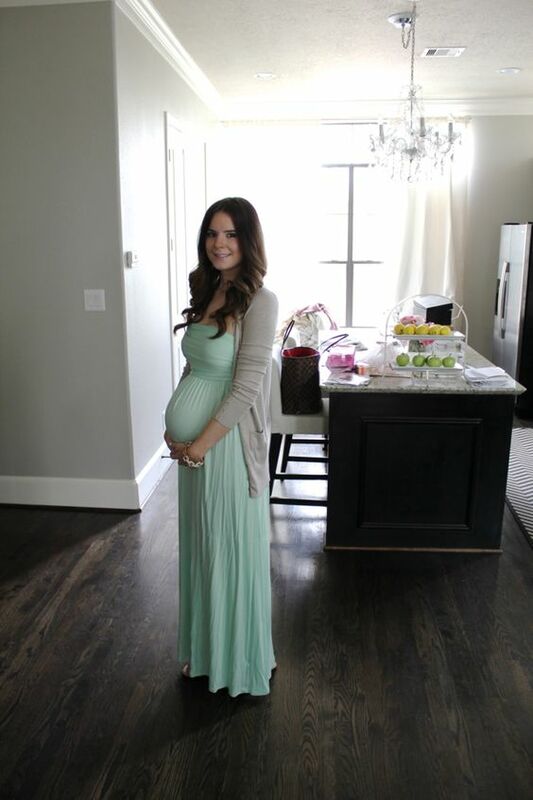 When you are pregnant, it’s especially difficult to keep looking awesome and trendy due to the changing curves but it’s still possible. 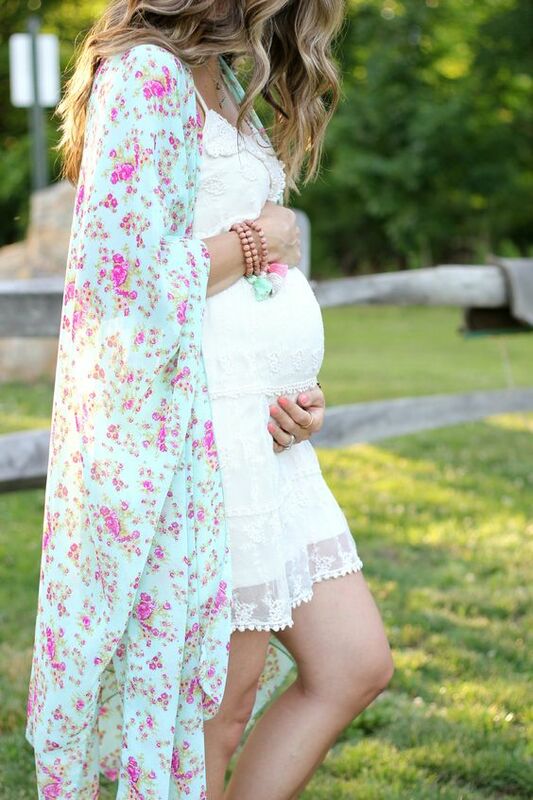 Maternity fashion is a compromise between feeling comfortable and looking amazing at the same time, don’t forget that you should feel cozy in your outfit. 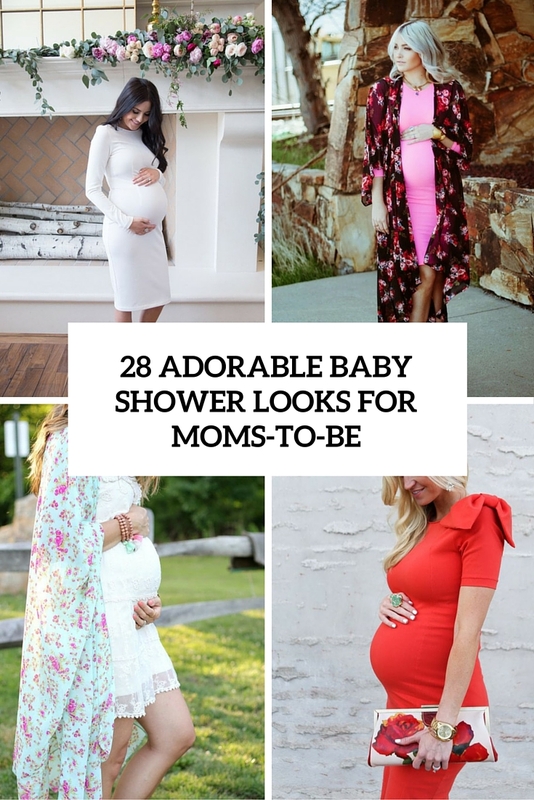 I’d like to share some ideas for those of you, future moms, who are getting ready for a baby shower and hesitate what to rock to look chic and feel well. 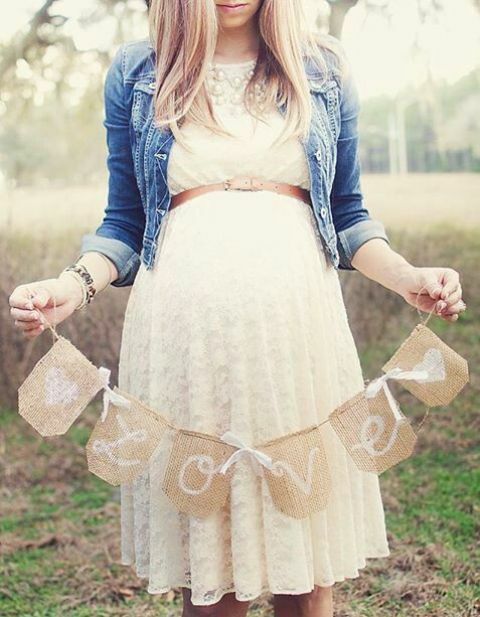 First of all, define the style or theme of your baby shower to find out how to dress up. 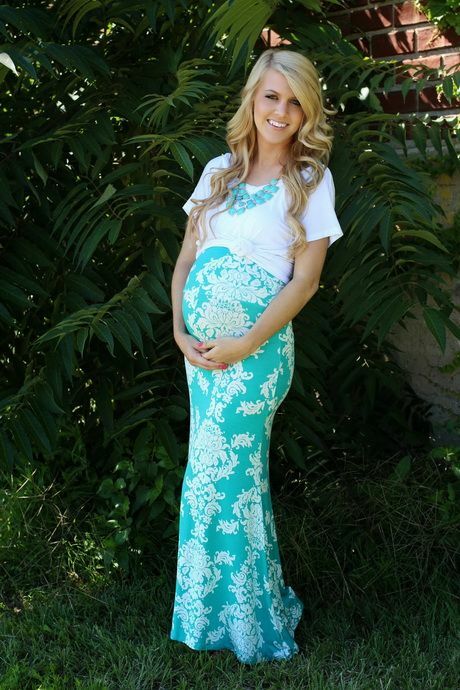 The most popular idea for the future moms here is a dress, a fitted or a loose one, a maxi or a midi, it depends on your taste. 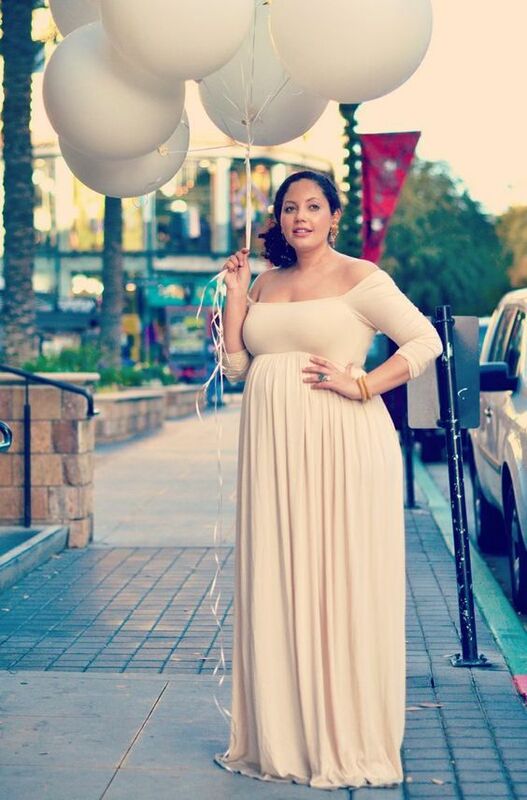 If you want to highlight your curves, choose a fitted maternity dress, opt for light and breathing fabrics and make sure that it fits your new body shape well and isn’t too tight. Midi length here is the best idea because it highlights your figure in the best way. If you want to feel more relaxed, try a loose-fitting dress – a maxi or a knee length one. 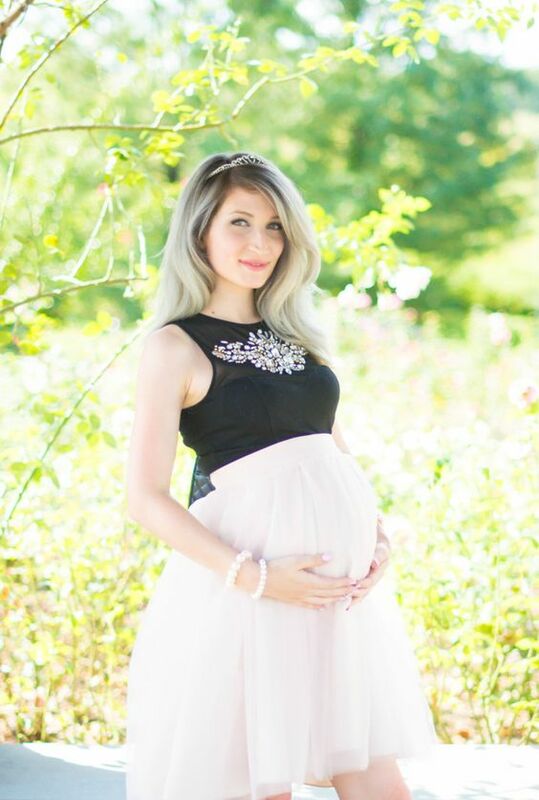 Speaking about patterns and colors, you can go for white, which is the most popular color fitting any baby shower theme, it can be a plain white or a lace dress to make you even more feminine. Pastels are also in trend, you’ll look very tender in them, pay your attention to rose quartz and serenity colors. 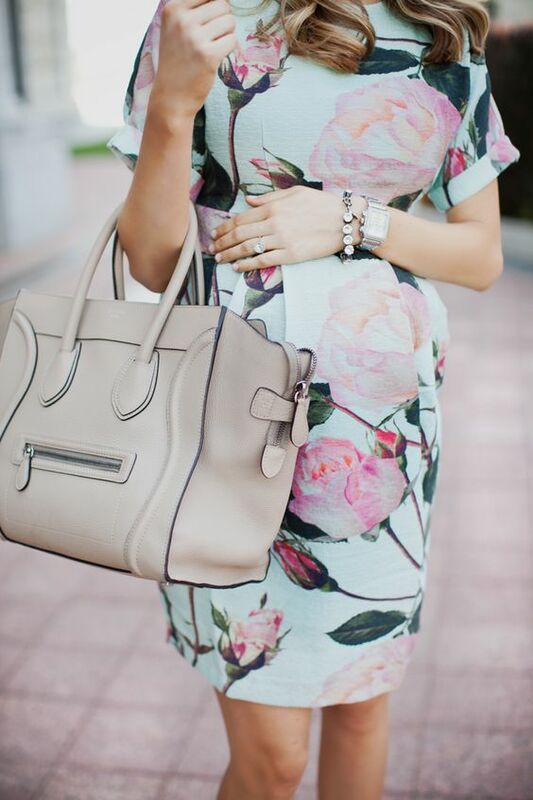 Floral patterns scream girlish, so choose oversized blooms or some tender kimono-styled gowns. Tulle skirts are another great idea for every girl, they fit various styles and parties of all kind. Rock a cool and comfy tulle skirt in blush and add a top of your choice, it maybe embellished, or you can rock a statement necklace. Speaking about shoes, if you are ready to rock heels and don’t have any health restrictions, take a proper pair of heels, maybe statement ones. If you want to feel comfier, choose wedges or flats, the latter are super popular now for any type of occasion, and there cool laced up and bold ones. 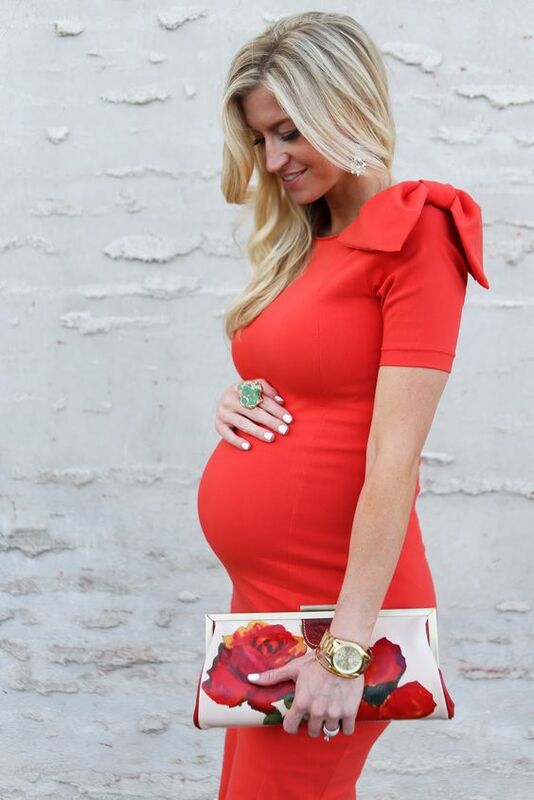 Don’t be afraid to accentuate your mom-to-be look with various bold accessories and statement clutches. Get inspired!